Group work. It’s an important skill. One that we need a lot of practice with – it is much harder than it first appears. There is listening to others, negotiating, turn taking, asserting an opinion, making a point, explaining your thinking, staying on task, having patience, agreeing, disagreeing, remaining polite . . . Wow! Not easy to do! Step 1. The topic is sloths. 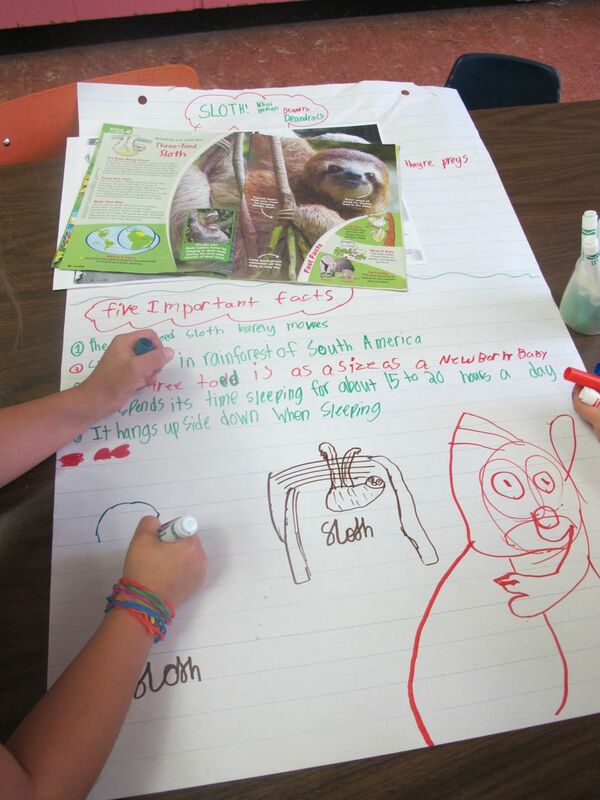 In your small group, write down everything you know or think you know about sloths. Step 2: Read the article in Chickadee Magazine about sloths. Step 3: In your small group, decide what are the 5 most important things you learned and list them. Step 5: Discuss what we learned. 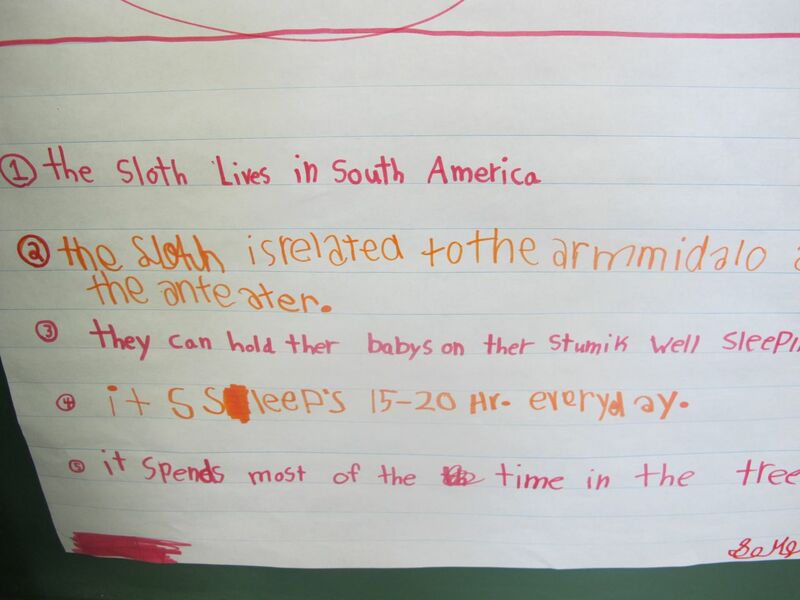 Students noticed that some things were on many of the lists: where the sloths lived, how long they slept each day and that they hung upside down. Other facts were different. 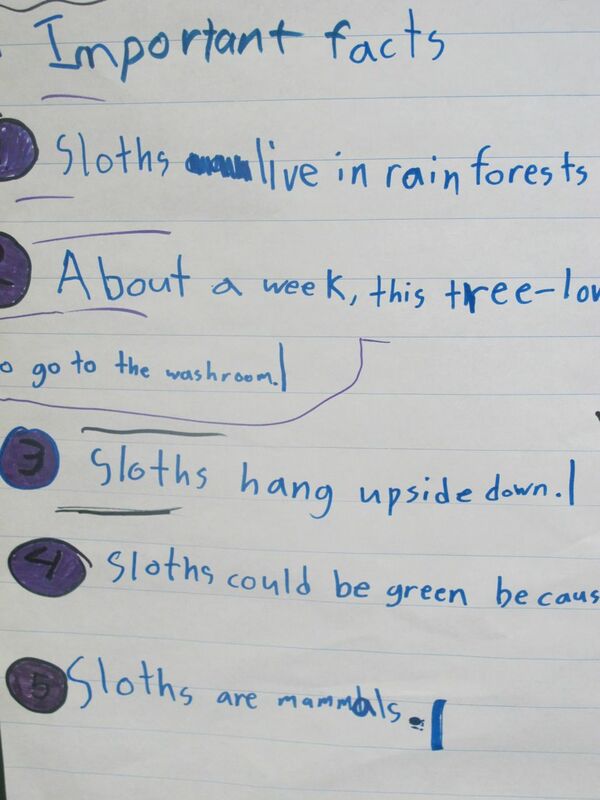 We decided that we needed to come up with criteria about what is important to know about an animal so that we could figure out what are the most important facts. This will be for next time! We are off along the road to learn how to determine importance! I was pleased that students got into the rhythm of sharing and listening and that after an initial bumpy start, all groups met with success. 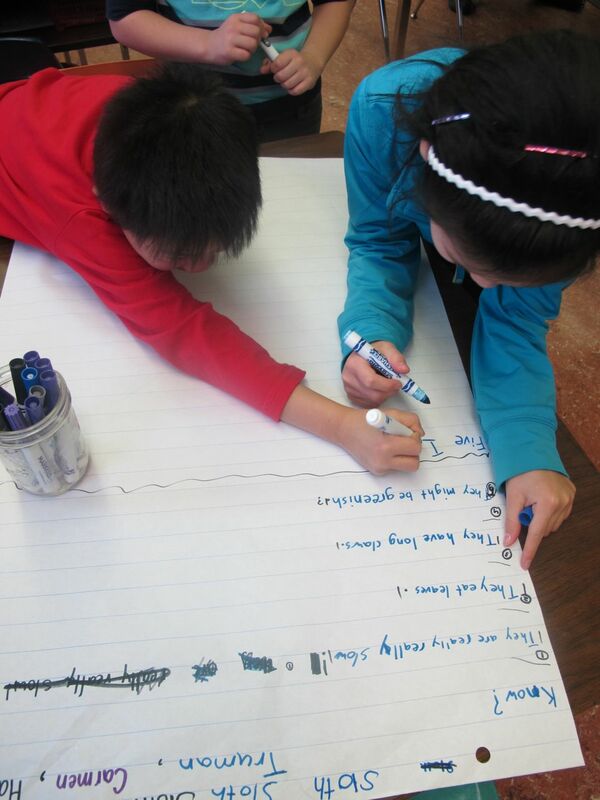 The really wonderful thing – so much emphasis on students talking and leading. Each group naturally took turns reading sections out loud. Everyone did a little writing. Everyone talked and listened. Other than setting the task and helping the transition into a small group activity, my role was in the background. I asked a few questions, encouraged successful collaboration and watched students take charge of their learning. Well done reading group! This entry was posted in Classroom Views, Non-fiction and tagged asking questions, Chickadee Magazine, determining importance, reading group, small group work by carriegelson. Bookmark the permalink.